Checked: subclass of Exception except RuntimeException. Unchecked: Error, RuntimeException and their subclasses. For unchecked exceptions, the compiler does not force the programmer to either catch the exception or declare it in the throws clause. What is the difference between and error and an exception? Errors should be irrecoverable. However there’s nothing stopping you from catching any subclass of Throwable. Extend Throwable or any of its subclasses, like Error, RuntimeException or Exception. Either make your class extend Throwable or any of its subclasses or delegate throwing your object to a wrapper subclass of Throwable. Java doesn’t allow extending multiple classes (unlike C++). You should delegate throwing it to a wrapper class that extends Throwable. An unhandled exceptions moves up the call stack until it finds a matching catch block that will be executed. If the exception is not caught anywhere, the program exist with that error. try-catch blocks or declaration in throws clause. What is the basic difference between the 2 approaches to exception handling: 1) try catch finally block and 2) specifying the candidate exceptions in the throws clause? When should you use which approach? 1) The method is responsible of dealing with it’s own exceptions. 2) Otherwise. Making the decision is subject to patterns and anti-patterns in exception handling, not a short and decisive answer. No. However, in this case, it must be followed by a finally block. Yes. It can also change the return value. The first matching catch block, in order of declaration. Yes, because the FileNotFoundException is a subclass of IOException. Execute code no matter if an exception is thrown or caught. Order of execution: try-catch-finally or try-finally-throw forward. 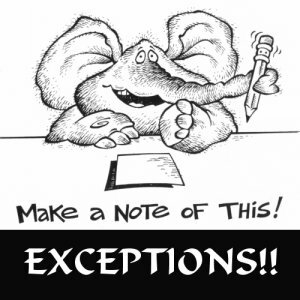 The chained exception feature allows you to associate another exception with an exception. This second exception describes the cause of the first exception. Lets take a simple example. You are trying to read a number from the disk and using it to divide a number. Think the method throws an Arithmetic Exception because of an attempt to divide by zero (number we got). However, the problem was that an I/O error occurred, which caused the divisor to be set improperly (set to zero). Although the method must certainly throw an Arithmetic Exception, since that is the error that occurred, you might also want to let the calling code know that the underlying cause was an I/O error. This is the place where chained exceptions come in to picture.